I’m one of those people who hates to buy one-use appliances, so I LOVE all the waffle iron hacks I’ve been seeing and trying. 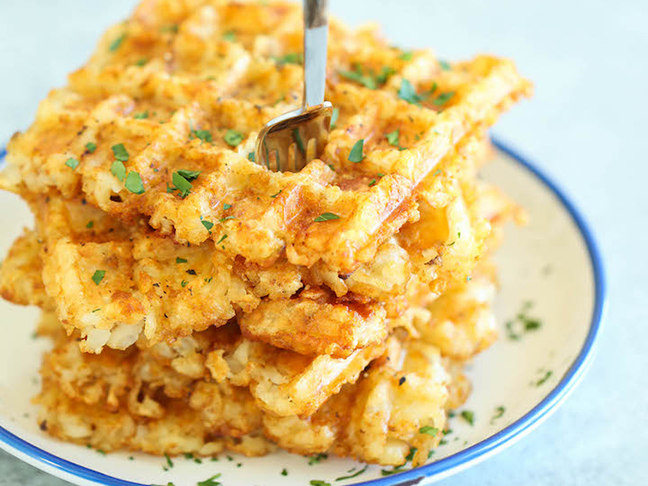 Instead of making plain old waffles in the waffle iron, how about pizza waffles, mashed potato waffles, or tater tot waffles? Yum. I’m personally partial to churro french toast waffles and waffle ice cream sandwiches. I especially love the kid-friendly nature of all these recipes. 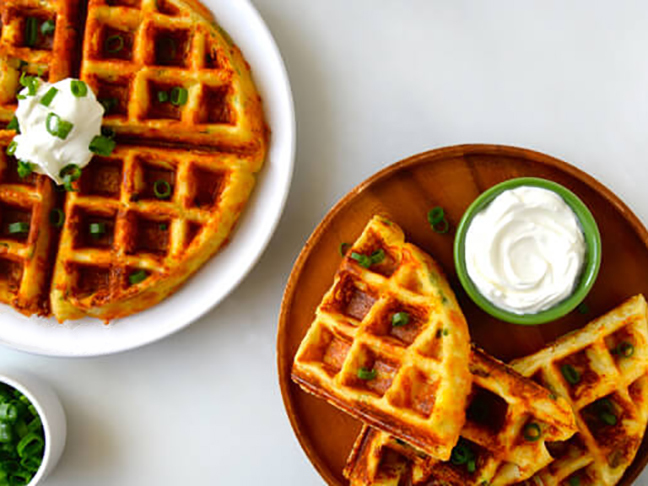 Because the waffle iron forms a crisp crust on virtually anything you put in it, foods are easily cut into bites or strips that are easy to grasp for little hands, and easily dippable for older kids. 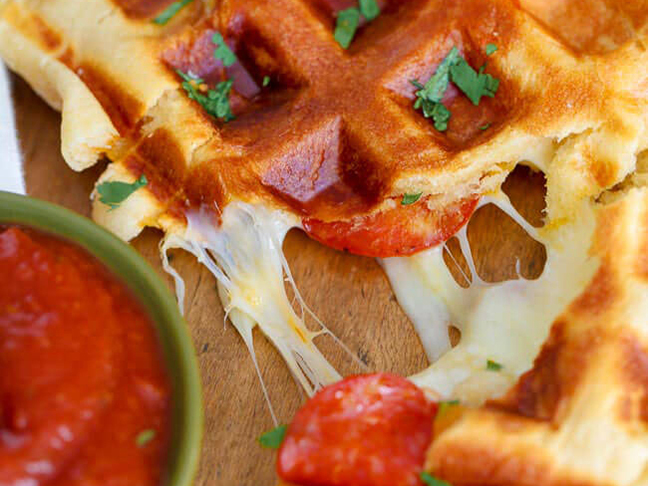 Here are a whole host of delicious waffle iron hacks that’ll make your next meal absolutely amazing. Everyone loves pizza, and there are about a million ways to make it, right? Probably should try it in a waffle iron. Delish. 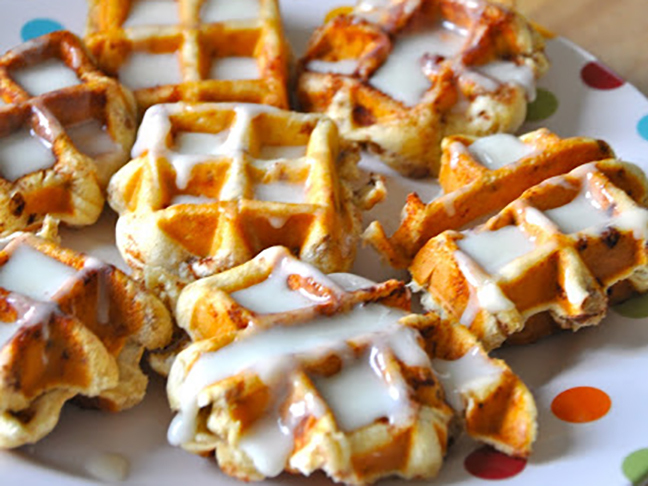 Get cinnamon rolls faster by popping them in a waffle iron. Top with frosting as per usual. 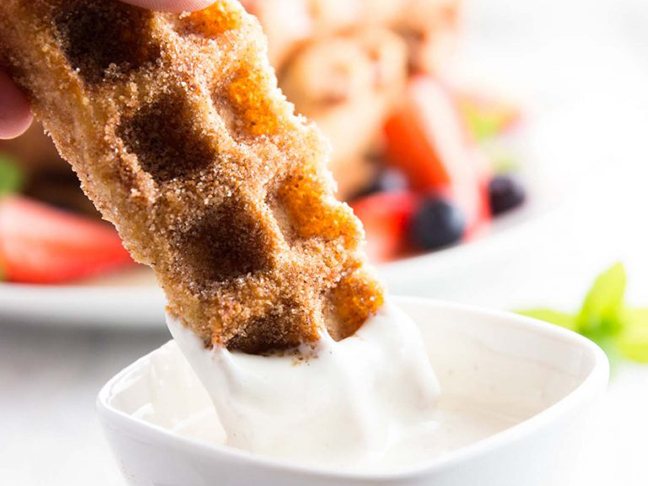 French toast sticks are done in a waffle iron and dressed up like churros, i.e., covered in sugar and cinnamon. Finger-licking good. 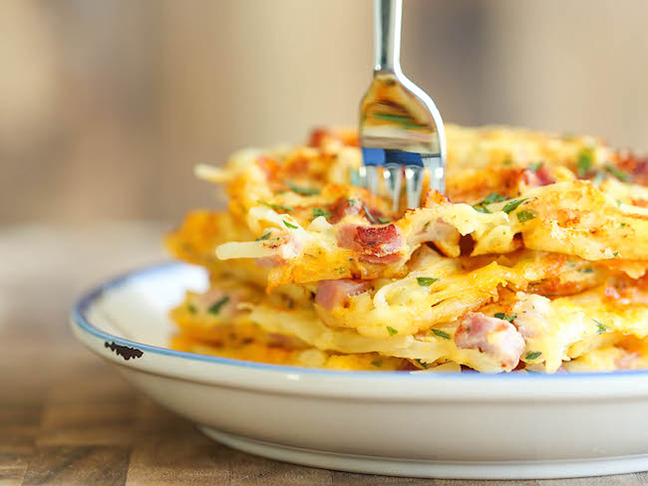 Ham and cheese and hashbrowns are all crispy and full of flavor. This is another reason to have breakfast foods for all the meals of the day. 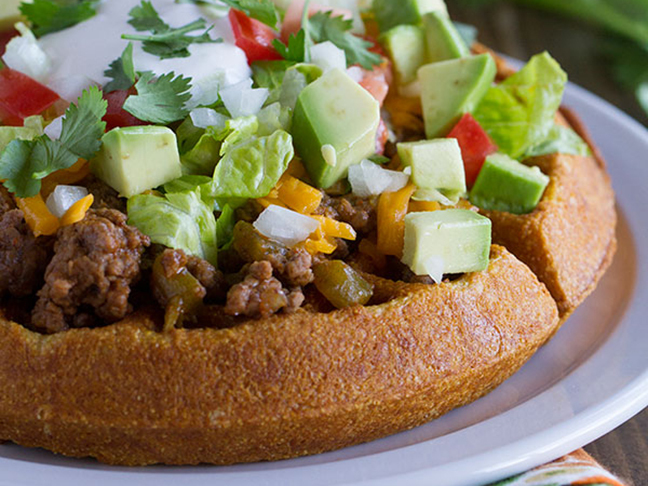 Just in case you are tired of the basic taco, try it with a waffle iron. Make a cornbread waffle (!) topped with the all the good stuff. The ingenuity! 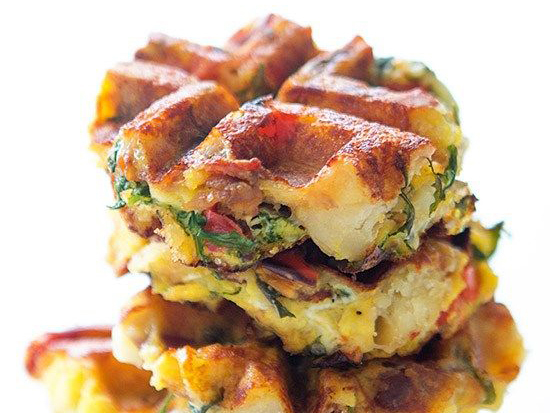 After a pass through the waffle iron, the frittata is cripsy and full of flavor. 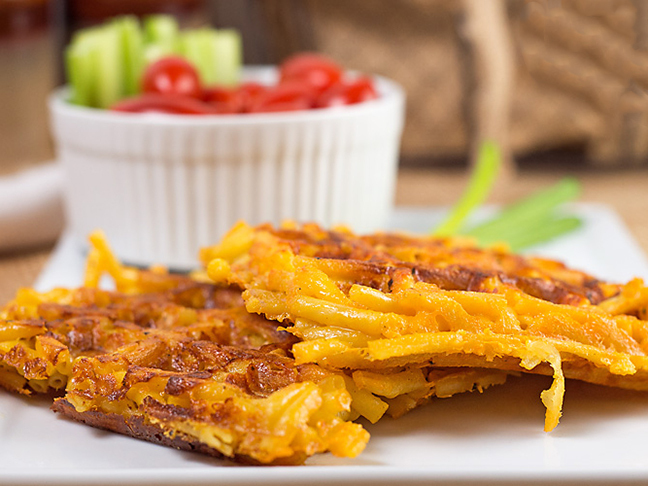 Revamp last night’s leftover mac and cheese into these savory mac and cheese waffles. There’s nothing boring about that. 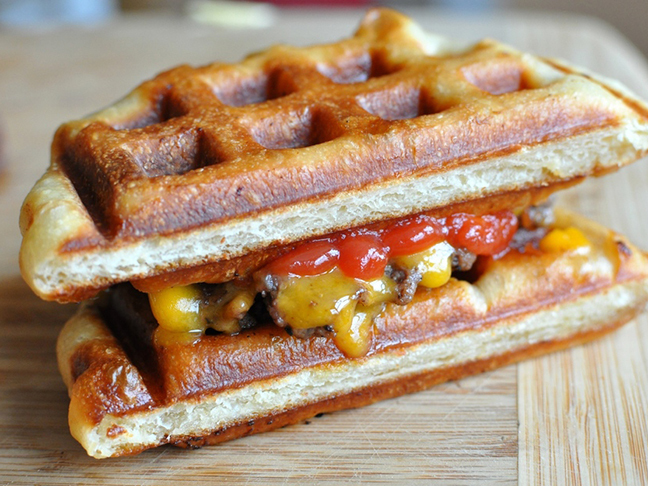 Toss the plain bun and make yourself a waffleburger. My kids would love this. 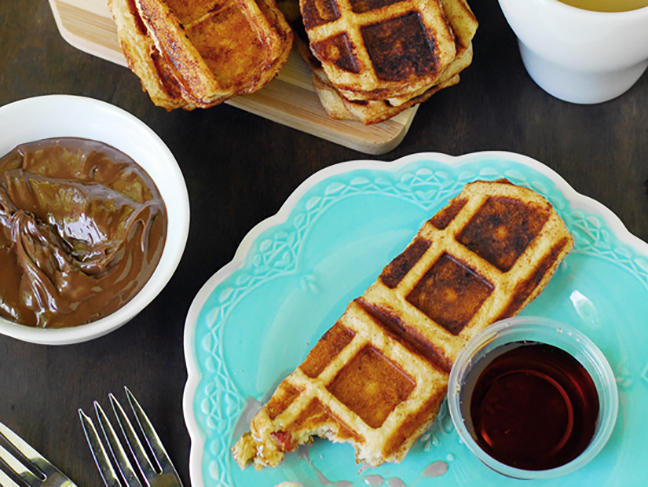 Get the recipe: Will It Waffle? I love crispy tater tots. Like, it’s paramount for me to eat them. With a waffle iron, the tater tots are toasted to perfection. Yes, please! This recipe is here just in time for summer. 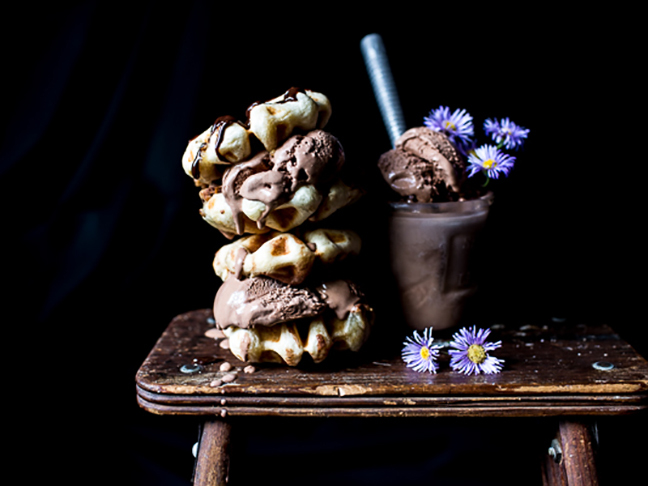 Fill two cookie dough waffles with your favorite ice cream. Grab extra napkins. For those who have dietary restrictions, there is no need to feel left out. 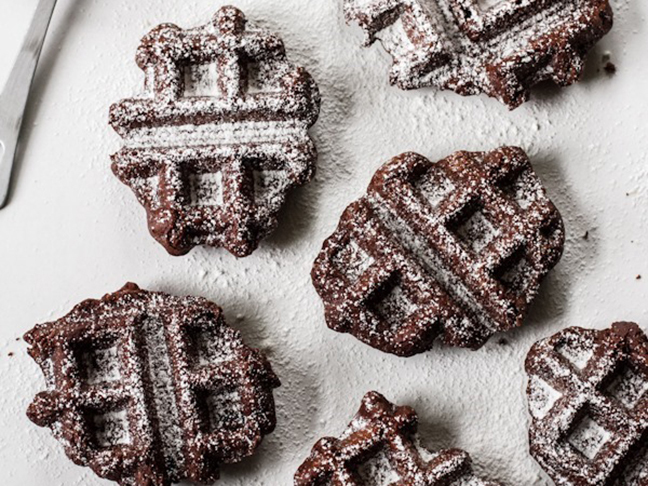 These Belgian brownie waffles look sublime. Top them with fruit and whipped topping. Big old yum. These are so fancy. 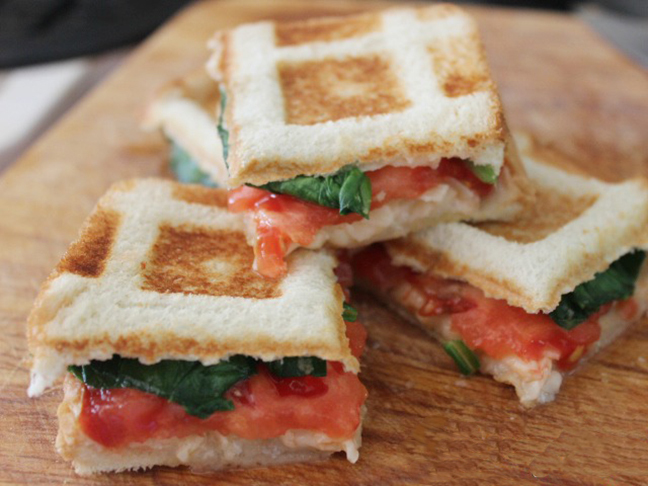 Use a waffle iron to take a basic sandwich up a few notches. This creation combines two breakfast favorites: bacon and cinnamon rolls. They’re a little bit sweet, little bit salty. And all yummy. Take leftover mashed potatoes and turn them into a savory treat. 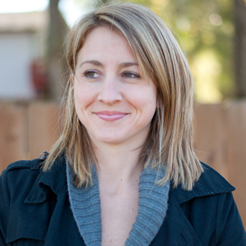 This one might be my favorite. Any way to eat more soft pretzels and I’m there. 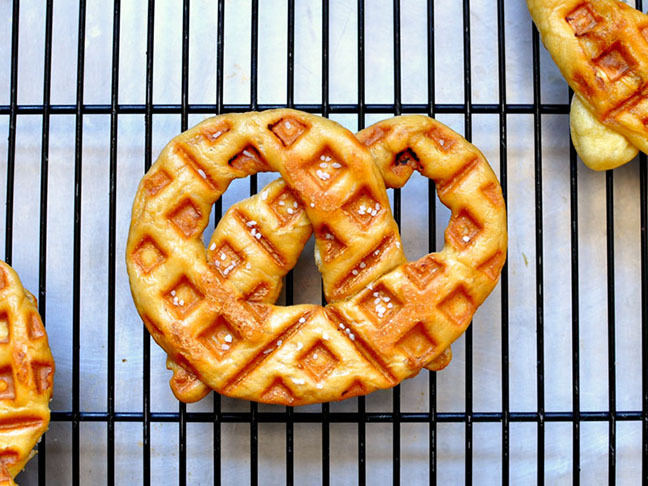 Toss one in the waffle iron and enjoy. Make sure to have lots of dipping sauces.